Today, the District of Columbia laid to rest one of its heroes. Lieutenant Kevin "Lightbulb" McRae of the Fire and Emergency Medical Services Department's Engine 6 Company made the ultimate sacrifice while responding to a 2-alarm fire in Shaw. He is the 100th D.C. firefighter we have lost while serving the residents of the District of Columbia since 1856. 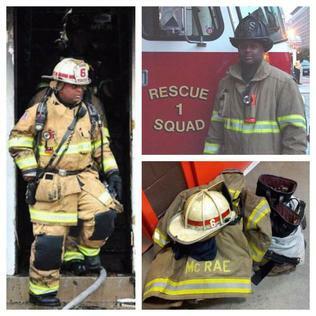 Equally tragic, his cousin, James J. McRae III, gave his life as a D.C. firefighter in 2007. At the Council's next legislative meeting, I will be introducing a ceremonial resolution to honor Lieutenant McRae for his twenty fouryears of service to the Department. 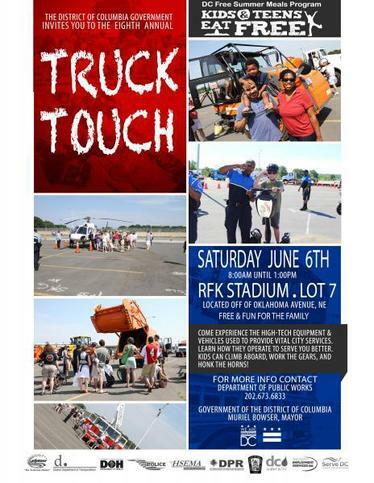 I hope you will join me to pay tribute to Lieutenant McRae and recognize that his legacy will continue with his wife, Trell McRae, his five children, Desmond McRae, Davon McRae, Tiara Parker, Dalonte Mitchell, and Keavon McRae, and all of us across the District of Columbia. My thoughts and prayers are with Lieutenant McRae's family, and all who were privileged enough to count him as a friend or colleague. On Tuesday, May 12, the Committee on the Judiciary successfully marked up Councilmember McDuffie’s (D-Ward 5) Committee Report and Recommendations on the Fiscal Year 2016 Budget Request and Budget Support Acts (“budget”). The budget is the result of extensive agency oversight and stakeholder engagement over the past five months. Beginning February 12, Councilmember McDuffie held a series of performance and budget oversight hearings on the 36 agencies and commissions under the purview of the Committee. During those hearings, Councilmember McDuffie heard from residents, community organizations, advocates and directors of agencies. Councilmember McDuffie's proposed budget makes investments in public safety, promotes government transparency, restores money to critical programs that serve our most vulnerable residents, and funds Ward 5 budget priorities. To learn more about the Councilmember's budget, please visit http://www.kenyanmcduffie.com/newsroom/news/. The District Department of Transportation (DDOT) will host a public meeting for the Brookland-Edgewood Livability Study in Ward 5 on Tuesday, May 26, from 6 pm to 8 pm. DDOT’s livability studies seek to improve the quality of daily life by identifying actions to improve safety and increase transportation connectivity and accessibility. At this meeting, DDOT will share data collection, draft concepts, and will seek feedback from community stakeholders. 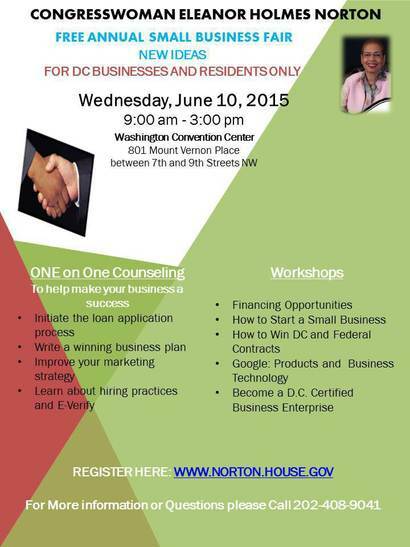 DC Meets Washington is a FREE summer opportunity for rising 6th, 7th, and 8th graders which will take place at Ward 5's Browne Education Campus. Over the course of the three-week program, July 13 - 31, students will meet with local leaders from Engineering, IT, and the Hospitality career sectors, and participate in high school and college tours, directly exposing them to secondary opportunities. Registration is limited to 150 students. 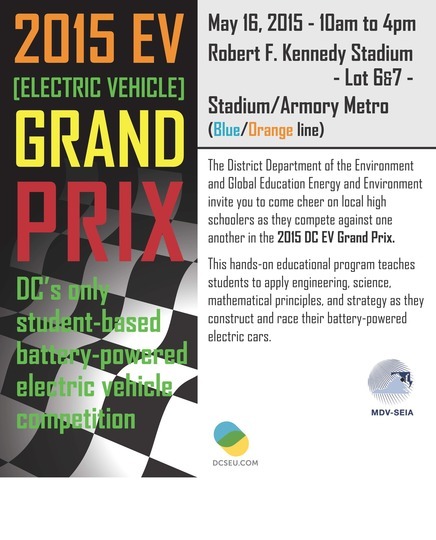 If you are interested in the program, please contact Mr. Freddie Temoney, Assistant Principal of Intervention, at 202-671-6210 or Freddie.temoney@dc.gov, and Mr. Ryan Johnson at Ryan.johnson@dc.gov. Mayor Muriel Bowser joined District of Columbia Public Schools (DCPS) Chancellor Kaya Henderson and Metropolitan Police Department (MPD) Chief Cathy Lanier to announce the opening of two new career academies as well as summer internship opportunities for DCPS high school students. Career academies prepare students for college and high-wage, high-demand careers through real-life, work-based learning experiences and rigorous coursework that culminates in industry-recognized certifications. For more information about DCPS career education and a complete list of programs by school, visit dcps.dc.gov. On Thursday, May 14, Councilmember McDuffie joined Councilmembers Brandon Todd (D-Ward 4) and LaRuby May (D-Ward 8) for their swearing-in ceremony. Please join the Councilmember in welcoming his two new colleagues! 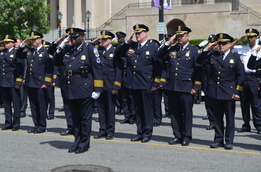 On Monday, May 11, Councilmember McDuffie joined police officers from around the region to pay tribute to two fallen heroes: Corporal Jamel Clagett of the Charles County, Maryland Sheriff's Office and Sergeant Clinton Jeffrey Holtz of the United States Capitol Police. Councilmember McDuffie was joined by Chairman Phil Mendelson, Councilmember David Grosso and Deputy Mayor for Public Safety and Justice Kevin Donahue. In addition, Metropolitan Police Department's Chief Cathy Lanier and Mayor Muriel Bowser gave remarks at the ceremony.